New Jersey’s loss of undeveloped land continued apace in the latter half of the 1990s, according to a Rutgers University study just released. The Garden State lost 90,000 acres of farmland and forest to subdivisions, office parks and cleared lots between 1995 and 2000, matching the pace of development in the previous decade, according to the study. The pace of development quickened in forested areas, including the Highlands. Density matters in how we handle growth. If everyone in New Jersey lived at the density of Guttenberg, Union City, or West New York, New Jersey’s three most densely populated municipalities, the state’s entire population as of the 2000 Census would fit on a little more than 100,000 acres, or less than 3 percent of the state’s total land area. In fact, at these densities the entire population of the United States would fit within New Jersey’s borders, leaving the rest of the nation as untamed wilderness. “Where” we grow gets the lion’s share of attention in New Jersey, but “how” we grow is equally important to conserving land and a high quality of life. In the past 50 years, New Jersey’s development patterns have drifted away from the “ends” of the density range: the compact towns and rural landscapes that made our state special and, most importantly, could accommodate large and growing numbers of population without excessive sacrifice of open land. 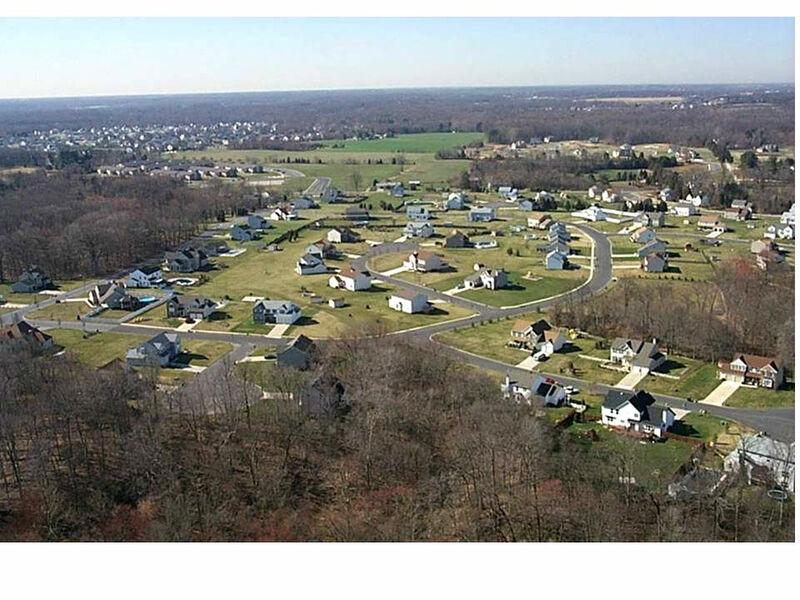 Instead, we have adopted a “middle” pattern of suburban sprawl that is erasing New Jersey’s character along with its resources and open lands. And this middle density is costing us: it costs more in land because homes and workplaces take up more space than in compact development; it costs more in money, because the per-capita costs of providing roads, sewers and services like police and fire increase as people spread out; and it costs more in time, because it inhibits options like public transit, walking and biking that reduce commutes and traffic congestion. The answer is not in the middle, but at the ends. New Jerseyans benefit from and deserve a choice of vital urban centers and rural communities; in short, a rich mix of densities that sprawling development threatens to erase. We simply can’t afford the middle ground of sprawl any longer. December 22, 2000 Where Do We Go From Here?